In Political Mind Games, psychologist Roy Eidelson explains how we can recognize—and counter—the manipulative appeals that the 1% use to advance their self-serving agenda. These individuals and groups, possessing extraordinary wealth and power, prey upon the rest of us by strategically targeting the most important concerns in our daily lives. 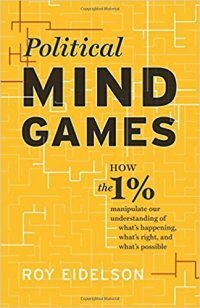 Offering timely examples drawn from the realms of poverty wages, climate change, voter suppression, militarism, school reform, and more, Eidelson shows why understanding and debunking the 1%’s mind games is an urgent matter for anyone interested in building a more decent society. 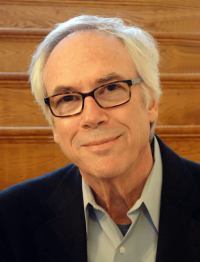 Roy Eidelson, PhD, is the former executive director of the University of Pennsylvania’s Solomon Asch Center for Study of Ethnopolitical Conflict and a past president of Psychologists for Social Responsibility. His work focuses on applying psychological knowledge to issues of social justice and political change. His writing has appeared in scholarly journals and outlets including the Washington Post and Los Angeles Times.